To truly catch them all, you'll have to buy Pokemon Black & White within a certain time frame. Trainers that get into Pokemon too far from the upcoming Pokemon Black & White's release date apparently won't get to collect a full roster of the little beasts. A new promotion from Nintendo offers the 494th Pokemon only to players that purchase Black & White by mid-April 2011. Any Black & White owner that connects to the Nintendo Wi-Fi Connection between March 6 and April 10 will receive a Liberty Pass. This Liberty Pass provides access to an exclusive island that can't be reached through normal gameplay. 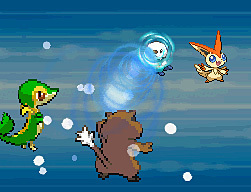 Within this island hides the mythical Victini. 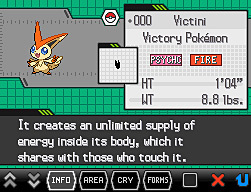 Victini, a Victory Pokemon, is the first creature known to be a combination of both fire and psychic types. He's barely over a foot tall, but he'll make you think you're not on fire when you really are. 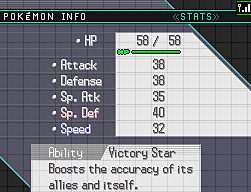 Through his Victory Star special move, low accuracy abilities of other Pokemon in Black & White's double and triple battles will be able to land more easily. 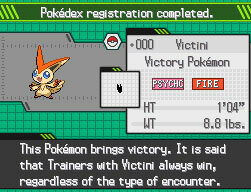 I get the feeling that Victini will become a status symbol amongst Pokemon players. 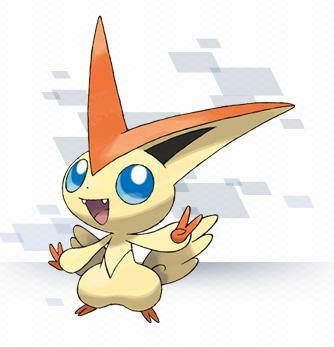 Most of the game's fans already had Black or White pre-ordered months ago, but you know there's at least one kid out there saving his pennies that will miss Victini by a hair. Tough luck, kid.